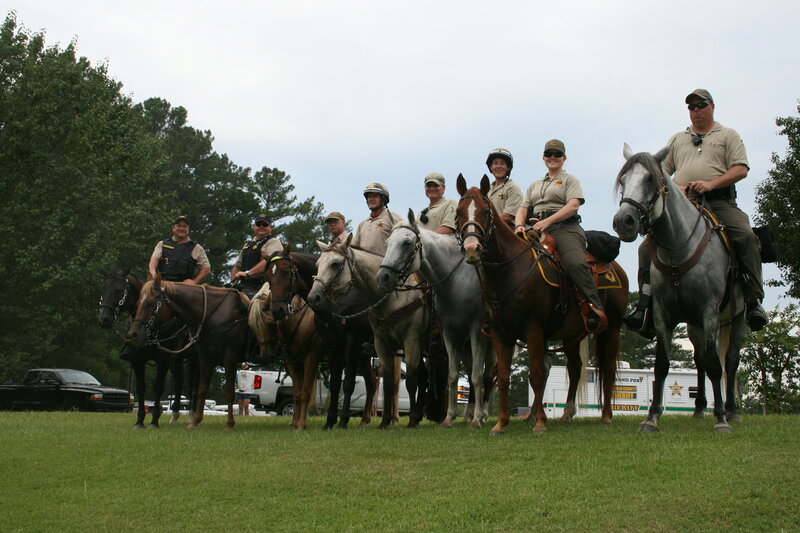 The purpose of the Mobile County Sheriff’s Office Mounted Unit is to provide a highly skilled group of deputies and auxiliary deputies, to administer crowd control. This group would be utilized in such functions as Mardi Gras and other public events that draw large numbers of people. A person desiring to become a member of the Mobile County Sheriff’s Office Mounted Unit will be required to complete a written application. The applicant must be at least 21 years of age and possess a high school diploma or GED. The application will be reviewed and considered by the Board of Directors. During the review, a criminal history will be completed by the sheriff’s Office Warrant Section. The prospective member may be required to furnish a physical examination that may include a drug test. Upon acceptance by the Board of Directors, the prospective member will then be given an opportunity to participate in the Mounted Unit functions and training sessions. After a period of 90 days, the person will be granted or denied membership appointment. One year probation period will follow with the recommendation of the Board of Directors and the approval of the Sheriff.